As those of you who read my blog know, I’m a big fan of planes, trains and automobiles. 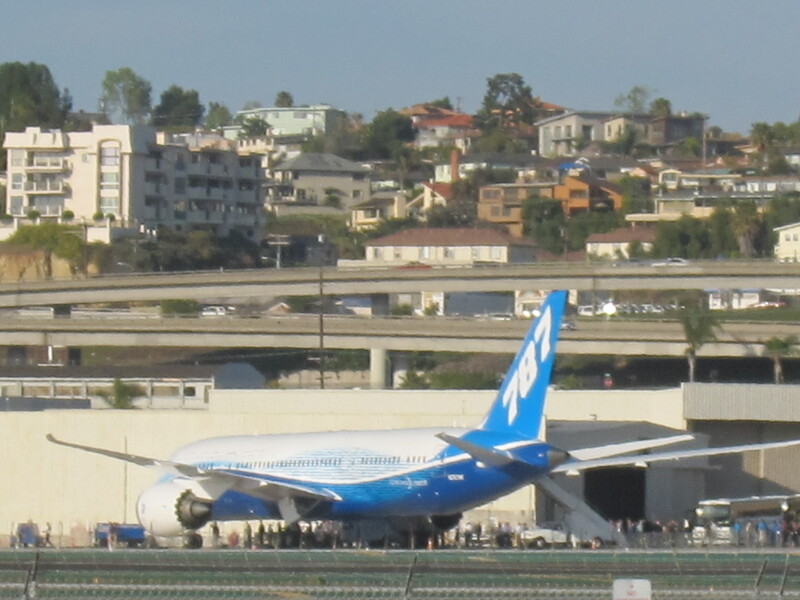 So, I was pretty excited to learn that a new Boeing 787 Dreamliner, Rock Star of commercial aircraft, flew into San Diego’s main airport, Lindbergh Field, this morning (03-12-12). Boeing is flying a 787 around the country so that the employees of companies that are contributing parts and components to the state of the art aircraft can see in person the magnificent aircraft that they have helped make a reality. 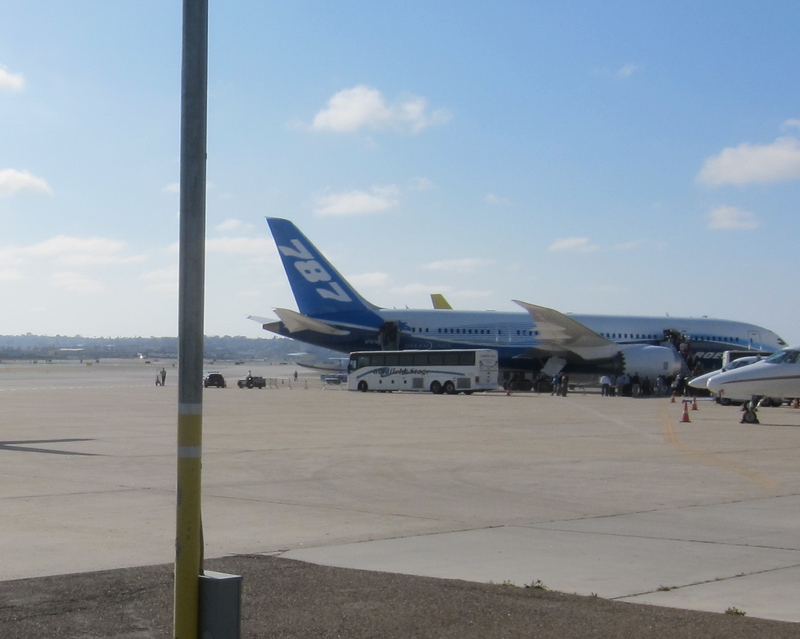 There are two companies in the San Diego area that contributed components to the 787, Goodrich (landing gear components) and Hamilton Sundstrand (auxiliary power units, fans, electrical systems). From afar the 787 looks like a fairly conventional aircraft, but the closer you get to it the more futuristic it looks. You can tell it is a next generation aircraft. I just found a video on You Tube on the Dreamliner flying into Lindbergh. If I had known that 787 was flying in this morning I would have shot my own video because I live only a few blocks from the flight path for incoming aircraft, which fly right over the Bankers Hill section downtown San Diego. Fortunately, others knew it was coming and caught it on video. It surely was spectacular seeing this bird fly over, and land shortly after at Lindbergh Field.